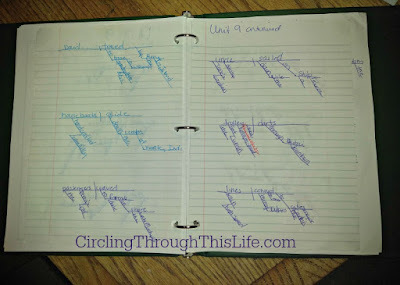 I think the greatest lesson I have learned as a homeschooling mama is to be flexible. Being flexible isn't easy for me. I don't like change. I like having my road maps (i.e. lessons plans laid out for me) but I learned to love the detours. Having a "game plan" or a "road map" at the beginning of the year, meant that I knew where I wanted to go even if we didn't finish in June. We always schooled year around with doing more "hands on" and "fun" schooling during the summer so I gave up early on trying to squeeze 36 weeks or 1100 hours of education between September and June. 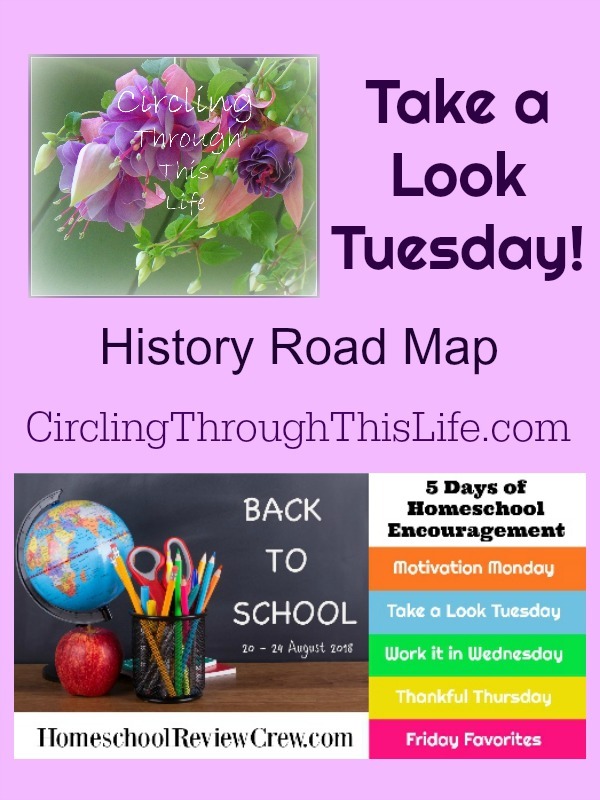 In today's Take a Look Tuesday post which is part of the Back to School 5 Days of Homeschool Encouragement Blog Hop hosted by the Homeschool Review Crew I am going to share my general road map for studying American History for the 2018-2019 school year for Supergirl. If you're you're hopping over form another Crew member blog, let me briefly share that Supergirl is developmentally delayed, medically fragile and is asynchronous with her skills. Socially and emotionally she functions around 4-6. Her reading skills seem to be solidly 1st grade and but her math skills range from Kindergarten to 2nd or even 3rd grade! She able to comprehend history and science at a 4th to 6th grade level when I read it aloud to her. This makes planning very difficult and often time consuming! 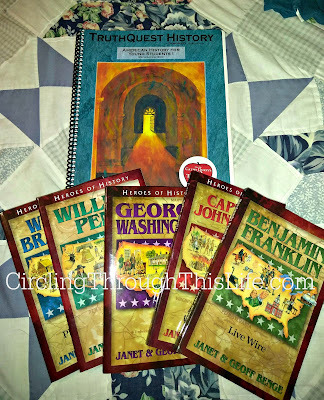 We'll be using TruthQuest History: American History For Young Students I (Exploration to 1800) as our road map. This is intended for grades 1-5. We did actually start this awhile ago with learning about Christopher Columbus. We set it aside for a variety of reasons but we'll start back up with finishing our study of Christopher Columbus. I have no idea how long this journey will last. We'll take it as fast or as slow as she wants depending on her interest level and the goals we set for developing her reading and writing skills. I'm almost afraid of touching on Leif Erickson and the Vikings discovery of America because we could end up setting aside American History and studying Vikings in-depth. That is the beauty of homeschooling! And if we do take a detour I know that we'll eventually find our way back to the main road map. I'll be adding in lots of hands-on opportunities with project packs and lapbooks from Home School in the Woods. Don't tell her but I have a whole lapbook for her about Benjamin Franklin! And we'll be making a little booklet about Christopher Columbus! We have several of the Time Travelers such as New World Explorers, Colonial Life, and American Revolution. Home School in the Woods also has my favorite timeline figures so of course we'll be keeping a timeline and doing some map work too. Ms. Miller gives lots of book suggestions for each topic in American History for Young Explorers. We may not read the exact books that she suggests but if there is a YWAM Publishing Heroes of History book available for suggested person, we will be using as many YWAM books as we can. 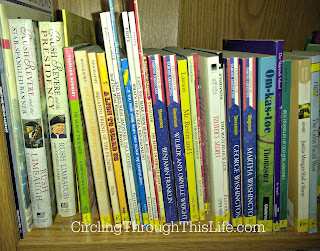 Some of the book suggestions are the same books as used in Sonlight American History which I used with the other girls so I have those. I'm looking foward to re-reading books like A Lion to Guard Us and Pocahontas both by Clyde Robert Bulla. 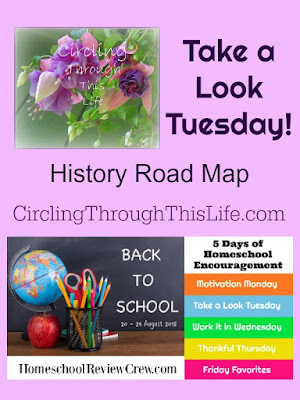 Of course we'll be doing other subjects besides history but history is the easiest one for me to have a general road map and take lots of detours. Do you need to have everything planned out in advance? Do you prefer to have a rough idea? Are you someone who is able to just wing it? I started investigating homeschooling as an education option for my family when my oldest, who was then my only, was 14 months old. We were an active duty army family stationed in Germany and my husband was deployed to another country. At the same time that I was introduced to home education my husband had stumbled across it. 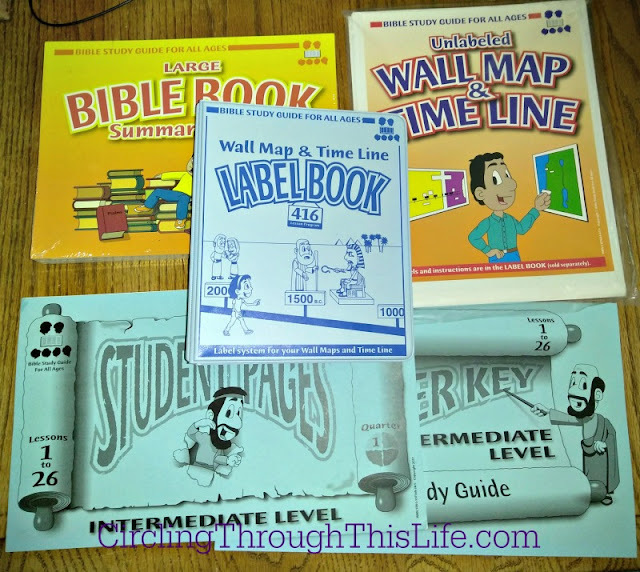 We felt it must have been God working it out to bring us to decide together to homeschool. That was 22 years ago. 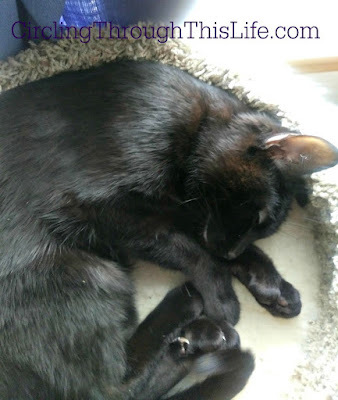 My husband changed up his career path and we continued to be a homeschooling family. We've had 3 of our 4 daughters graduate from our home school. I continue to home educate Supergirl who is our medically fragile, developmentally delayed special needs daughter. 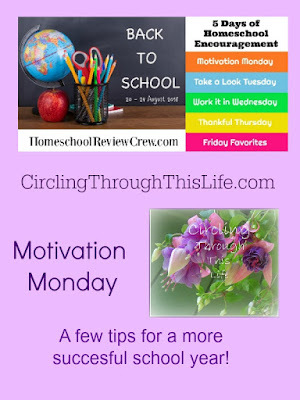 As I thought about what to write for this Motivation Monday, the first day of Homeschool Review Crew's Back to School 5 Days of Homeschool Encouragement Blog Hop I couldn't decide if I wanted to talk about the encouragement I've been getting from Julie Polanco's God Schooling: How God Intended Children to Learn or to share the whys behind my family's decision to home school. 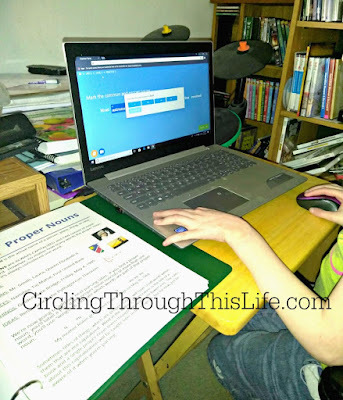 After starting two other blog posts for this topic, I've decided to go in a completely different direction and share how I am taking what I've learned and working to apply it to this year as I home school Supergirl. I don't feel that last year was very successful. Grab your favorite beverage, hot or cold, mine is Sugar-Free Caramel Breve hot, and let's chat! Are there things I wish I had done differently over the years? Yes absolutely, but there have been some things that have been consistently helpful over the years. One of the things that has been incredibly helpful is having menu plans. During one season of our lives I had a 6 week rotating menu plan that was nearly all crock pot meals. Years ago I blogged about creating your own rotating menu plan. Having a set meal plan reduces stress because it reduces the amount of decisions you have to make. It also makes building a pantry and grocery shopping easier because you don't have to think so much about the grocery list. As life does, things change. Setting up the rotating menu plan takes an investment of time and it does need to be tweaked as seasons change and dietary needs change. Here are some options that have helped me at different points. Through the Homeschool Review Crew I was introduced to e-mealz. After my subscription ran out from the review I did purchase another subscription. But after I while it just didn't work for me anymore. It was a huge help as I loved having something tell me what is for dinner. It is just that I had to do too much tweaking for my family. A friend of mine introduced me to Build-a-Menu. The advantage of this program is that I could pick the meals and I could do breakfast, lunch, dinner and snacks! And it would create a grocery list for me. I paid for this program for two years! Eventually though I was finding I wasn't using it regularly enough and I let the subscription go. It takes time to pick the meals. Yes it saved me time and sanity in that it is far more easier to pick from list than to come up with something on my own but I was finding I needed more help with actually getting the meals from "planned" to actually "cooked" so we could eat. I would have these fabulous menu plans so I knew what was for dinner or rather what was supposed to be for dinner. But often I would find that I was just too tired or busy to cook and we'd end up with take out. I rediscovered freezer cooking and that helped! Taking time to make dinner ahead of time meant that I could plan dinner, cook dinner and eat dinner! What a concept! Even if you don't cook a month's worth of meals at time it is work looking at Freezer Cooking options such as cooking bigger batches of hamburger and freezing it in meal size portions for the base for things like tacos or spaghetti. My current favorite meal planing site is MyFreezeEasy.com When I take the time, when I invest the time to choose my menus and prepare some meals for the freezer I save time, energy, sanity and money! And what I love about Erin Chase's method is it is mostly prepping things for the freezer. That means that your chicken goes into a freezer bag with the tomatoes and olive and Greek marinade but isn't cooked until the night you want to eat it. It is not like eating warmed over leftovers which in my early days of learning about freezer cooking a lot of recipes I had required you to cook the food and then you are reheating it and it tastes like leftovers. I love having a freezer full of meals. Having those meals increases the odds that I'll get school done with Supergirl and we'll have homecooked meal. On the same day. I don't know about you but it seemed like if I had full day of school done and laundry done we ended up with take out if I didn't have a meal in the crock pot or freezer meal to pull out. And if I managed to cook a homemade dinner we probably didn't get much school done. 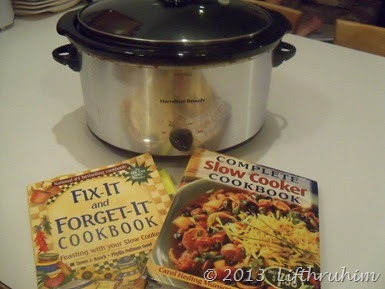 My crock pot is still a well used appliance that helps me take those meal plans and making cooking easier! During the more productive times, I also had a schedule and a routine. Even with my most successful schedules and routines, we did not, not even for one day, follow the "schedule" completely. But when we have a schedule or least a routine we accomplish so much more than we do without one. This year with Supergirl, I really want to work on a strong routine with a looser schedule. I'm working a schedule that has some anchor points like meal times and maybe schedule certain subjects for certain days like Science on Tuesday and Thursday but I want a solid routine that will help us work on some habits that have slipped away. Supergirl thrives with structure and routine and I need to use that to my advantage. She is also far more cooperative and a more pleasant human being when she has structure and consistent time with mom. So as I gear up for this new school year I am making sure I include time to invest in freezer cooking with MyFreezeEasy and that I have a structured routine with some scheduled slots for anchors to our day. I'm also mapping out my goals and a rough idea of what we'll be studying but I will share more about what we'll be studying tomorrow on Take a Look Tuesday! 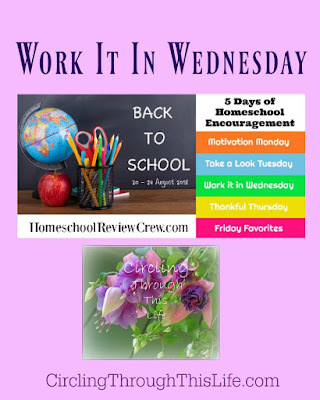 Here are a few of the other Homeschool Review Crew bloggers who are participating this week in the Back to School Blog Hop! 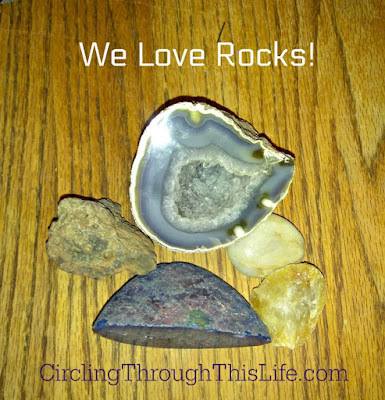 Passing on the Love of Rocks! 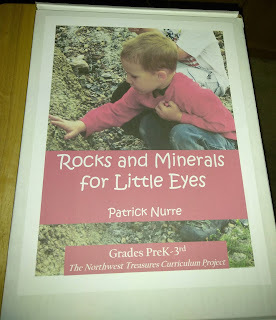 Thank you Northwest Treasures and the Homeschool Review Crew for the opportunity to review Rocks and Minerals for Little Eyes from their Geology for "Little Eyes" series. Many years ago when I was trying to finish up my Associate of Arts degree I needed to take a science with a Lab or another math class. I looked at the math classes and went nope. Not happening. I looked at the science classes. Remember it had to have a lab. I quickly crossed off Biology. I was not about to dissect anything. Chemistry was the next to go as it had too much math involved. I settled for something called Physical Geography. It was listed as a science. It had a lab. It met the requirements I needed. I fell in love. Physical Geography is part of the Earth Sciences. It's geology that focuses on the physical characteristics of the Earth's lithosphere, hydrosphere, atmosphere, and biosphere. I mostly remember the lithosphere stuff. I was hooked on geology. I went on to study Historical Geology and Physical Geology and briefly considered moving on to get a Bachelor's degree in Geology and becoming a geologist. I was so smitten with rocks that I even spent time during spring break identifying rocks I found. I passed my love of rocks down to Turtlegirl. She studied rocks and read books about rocks and minerals. She began her own rock collection. Her studies were always informal. I remember stopping at the Northwest Treasures booth at the home school conventions I attended. Unfortunately, as much as I drooled over the rock kits, I just didn't have the ability to purchase them. Turtlegirl had to settle for teaching herself using whatever we could find but this summer? This summer we are developing a love of geology in Supergirl. 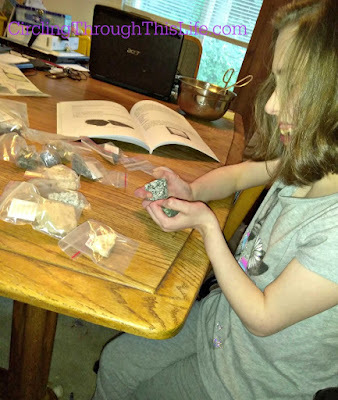 She is so excited that she now has her own rock collection from the Rocks and Minerals for Little Eyes kit. Before I tell you about this kit let me give you a bit of background on Northwest Treasures and Patrick Nurre. 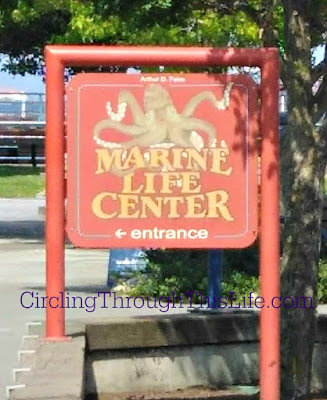 Northwest Treasures is a 501(c)3 organziation. Patrick Nurre is "an ordained pastor, and is certified as a Biblical Creation Ministry Professional." He has spent years doing field study and conducts geology classes and seminars. He even leads field trips to places like Mt. St. Helens or Yellowstone National Park. At Northwest Treasures, we stand unabashedly for a young earth and global flood as revealed in Scripture. Most of our classes will reflect that worldview. However, our classes can be tailored, depending on your group, to share simply the science of geology without reference to our philosophy. We received the kit which included the book, a set of rock forming mineral samples, a set of rock samples, and a set of Alphabet Sheets. Let me take a moment and tell you about these fun Alphabet Sheets. 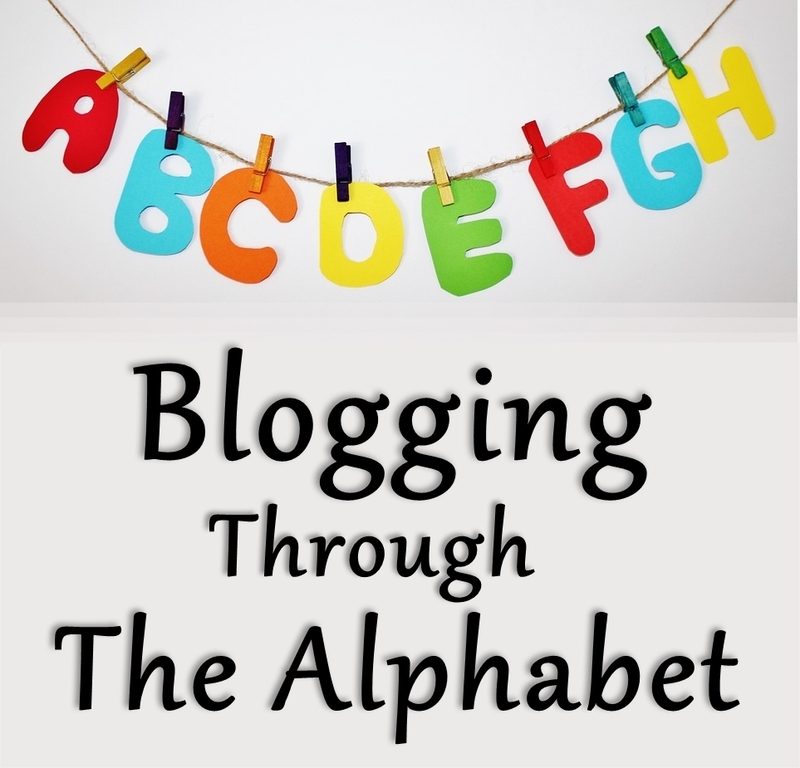 There is a picture and a definition for every letter of the alphabet. Some are rocks such as B Basalt. Others are minerals like J Jasper (a type of quartz). While others are places or names of volcanoes: N Northwest "Most of the active volcanoes in the United States are located in the Northwest US." These sheets came in a thick resealable plastic bag. We've just enjoyed snuggling together and looking through the pictures and reading them. I do plan for Supergirl to use the ones for minerals and rocks to see if she can find those in her samples but I don't see these actually referenced in the book. This soft bound book includes an Introduction for Parents, 11 Lessons, 19 Activities and a Materials List. It is 54 full color pages. Questions and Activities are in red in the text. The first two lessons really lay the ground work or foundation by discussing The Creation of the Earth (Lesson I) and the Flood (Lesson II). These lessons are more Biblical in their focus and include scripture references and verses for Memorization. Supergirl is an unusual student in that even though she is working at 2nd grade level for most things she is 20 years old and has had lots of exposure over the years to many topics including Creation and the Flood so these lessons were a little below her level but these are perfect for young students whose parents wish to lay a firm foundation for young Earth creationism. Lessons III through X are more science focused as they explore rocks and minerals. Lesson III explores What the Earth is Made of. There are lessons on what rocks are made of, what the differences are between rocks and separate lessons for each type of rock. The Young Earth Creation worldview is still clearly present woven into the lessons but these lessons do not have scripture and memorization verses. You will still find sentences like "Some were formed during the Flood, but most were most likely formed at the beginning of the Creation," or "The Book of Genesis reveals to us that God made all things." Some lessons are longer and some are shorter. For example Lesson V is 3 pages long but lessons VIII, IX and X are each only 1 page. I really appreciate that Mr. Nurre takes the time to really explain rocks. Rocks are made up of minerals and minerals are made up of elements. Elements are the atoms or the basic building blocks God used for all created things. (page 12). Our most favorite part are the activities. Every lesson has at least one activity and with only 11 lessons and 19 activities that means some lessons have more than one activity! In the back of the book there is a master materials list. This is great and I used it to start gathering what we needed but I do wish that it indicated which lesson it was needed for. I love that each activity also lists what you need for that specific activity. Most the activities give a brief statement that lays out the purpose of the activity. 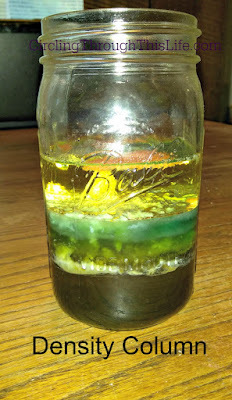 For example Activity 14 (which we haven't gotten to yet but I am so looking forward to Making Metamorphic Rock Candy), says "Metamorphic rocks are thought to form through heat and pressure. This activity simulates that process. 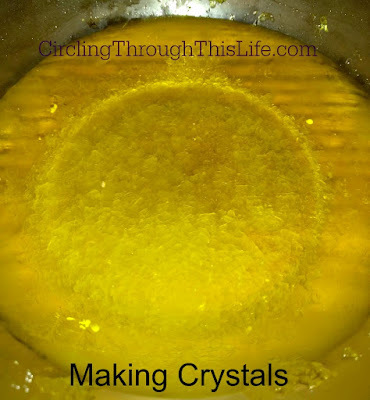 Some are pretty self-explanatory like making crystals. One of the things that I appreciate about the activities is that they use common items. 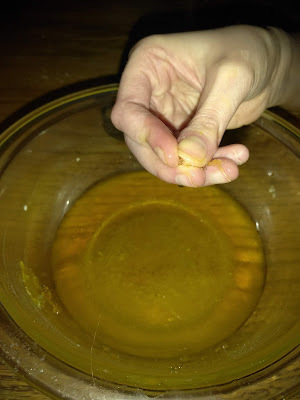 For the Density Column in Activity 2, I did purchase some things like a cheaper store brand honey since I didn't want to use our raw honey but we already had just about everything else they suggested. I also really liked that many of the activities are edible. Children, or at least my children really love being able to create something they can eat. Our Making Crystals (Sugar.. aka Rock Candy) is not ready yet and we haven't gotten to Activities 13, 14, and 15. I sure am looking forward to Lava Rock Candy Dessert, Making Metamorphic Rock Candy and Making Sedimentary Rock Treats. I know we won't be getting there for a couple more weeks but I already bought the crisped rice cereal and marshmallows. Don't tell Supergirl. She's going to love that activity though! We are moving at a pace of about two lessons per week. We do not always do the activity on the same day as the lesson so we work on this 3 to 4 times a week. Turtlegirl is the primary teacher. She reads the lessons the to Supergirl and leads the discussion. I'm usually in the room when this happens and it really makes my heart happy to hear Turtlegirl sharing her love of rocks with her twin sister. Usually the next day they would do the activity. We tended to do the activities more in the evenings or on weekends. Turtlegirl took the lead with those but they did become more of a family event at times. The Density Column sat on my counter for a few days. Supergirl made sure that everybody knew they should not drink it. "Daddy! Don't drink it! It will make you sick." When we examined the crystals made from Epsom salts everybody took a moment to look at the crystals under a magnifying glass. Only Supergirl and I stuck our hands in the bowl though to really feel the crystals. I admit it, I really liked this activity even though it wasn't edible. 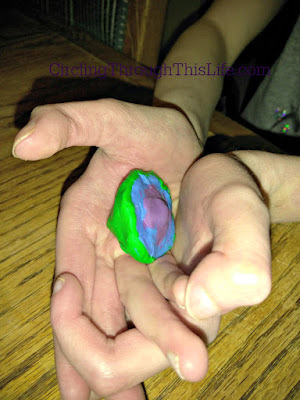 Turtlegirl shared with me that she thinks Supergirl's favorite activity so far was to make a clay model of the Earth. "She really enjoyed it, mom. She liked working with the clay." Even Dad got a bit involved with our Rock Investigation. He asked what were doing and I said we were comparing rocks. He even held a few in his hand to see which was heavier. 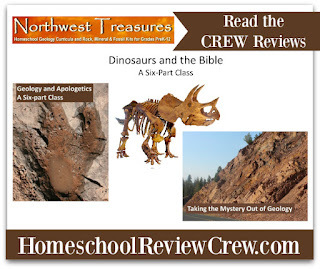 If you are looking for a program from a Young Earth Creationism worldview to use to introduce your children to geology, then I highly recommend Northwest Treasures. I also recommend checking out their video Taking the Mystery Out of Geology. In this video Patrick Nurre defines 13 terms. The video will give you a good feel for the philosophy and worldview that Northwest Treasures holds. Crew Leaders Amanda and Michele wrote reviews for physical kits as well. 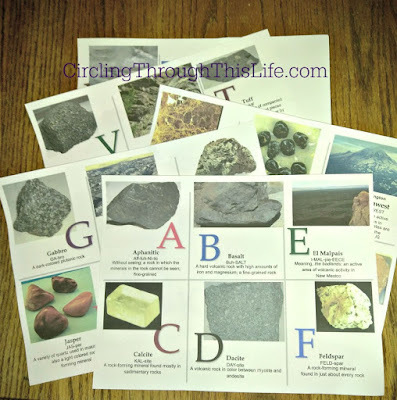 Check out Amanda's review of Volcanoes for Little Eyes and Michele's review of Geology for Kids. Crew members had a choice between the Dinosaurs and the Bible or Geology and Apologetics online classes. 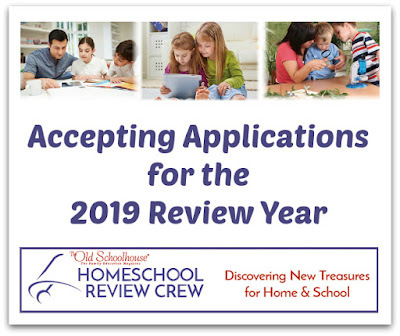 Be sure to read their reviews at the Homeschool Review Crew Blog! I'm back again with another update! Did you see the A update? A is for Academics. 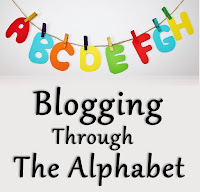 I'm wanting to get caught up to fully participate in the newest round of Blogging Through The Alphabet which is now hosted by the lovely Amanda at Hopkins Homeschool and Kirsten from Doodlemom. This part of my "Update Alphabet Style" series of posts since I did not have a blog posts for a very long time! No not an insect. 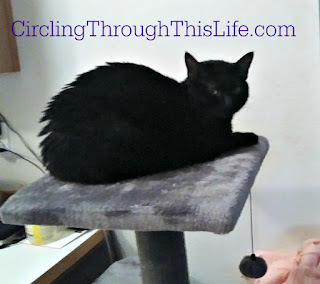 Bug is a young, adorable, black, domestic short hair cat that we adopted Mother's Day weekend. She was Honeybear's gift to me for Mother's Day. During Holy Week, our beloved George the Cat got very sick. 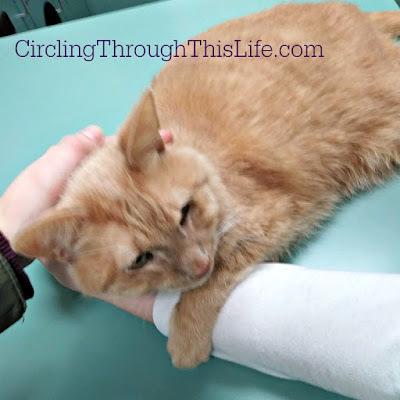 His bladder was blocked and he spent the night in the vet hospital. We brought him home on Tuesday evening and the vet was hopeful that he would recover, but over the next few days he began to decline. On Holy Friday we made the difficult decision that it was time to say good bye. 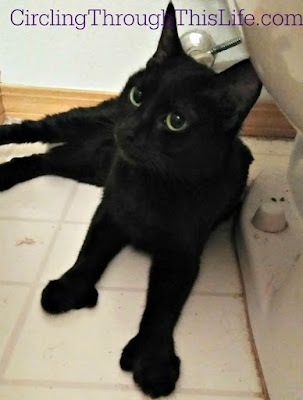 His bladder was blocked again for the second time in 5 days. It was absolutely horrible to have to tell the techs that we needed to talk about our options. I knew what our options were: 1)put him through a painful procedure to empty his bladder and have to keep doing this to him or 2) let him go. When we talked to the vet and as soon as we said "this is the second time he has been blocked in 5 days and his lab came back and he has no crystals in his urine" it became very clear that option 2 was the best choice. I cried more than I thought possible. I missed him more than I thought a person could ever miss a cat. He was part of our family. We'd adopted him (and his littermate Lacey who we had to let go of two years ago) when he was a kitten. He was 16 when said goodbye. Most of my family wanted to adopt another cat right away. I wasn't ready though. I needed more time. He was my baby. For weeks I would walk past a room and think I saw him and then I'd miss him all over again. Honeybear mentioned going to the shelter to look at cats for Mother's Day. He brought this up about 10 days before and I wasn't sure if I was ready. I kept telling the family that I wasn't sure we would come home with a cat. I wanted to make sure it was the right cat. We filled printed out the application form and we had to go on Saturday since the shelter is closed on Sundays. We walked in and looked around. I wanted a younger cat. Not necessarily a kitten but under 2 years old. One of the volunteers pointed out Bug. She was hiding under her blanket but when my husband started talking to her she came out. She stretched and she responded by "making biscuits." She also growled but we were told that she would growl instead of purr. When asked if would like to visit with her we said yes. I wasn't sure she was the right cat. She was black! I didn't necessarily want another tabby but I wasn't sure I wanted a black cat. And she was skittish. And shy. 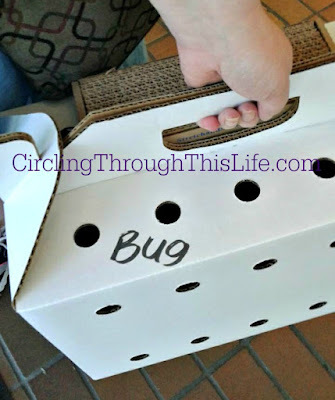 In the visitation room she didn't want to come out of the carrier. She huddled in the back as far from the door as she could get. BUT, she let us put our hand in and pet her. And eventually she moved closer to the door. We spent a good chunk of time talking to her and petting her even though she never came out of the carrier. When she purred for me as I pet her, I knew. We wanted to be absolutely sure that we were not just bringing home a cat to bring home a cat. So we told them that we thought we wanted her but we wanted to look a bit more just to be sure. 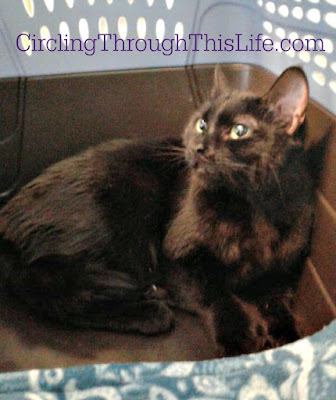 They kept her in a carrier rather than put her back in the kennel. Less traumatic for her. We looked at the kennels of a few others. 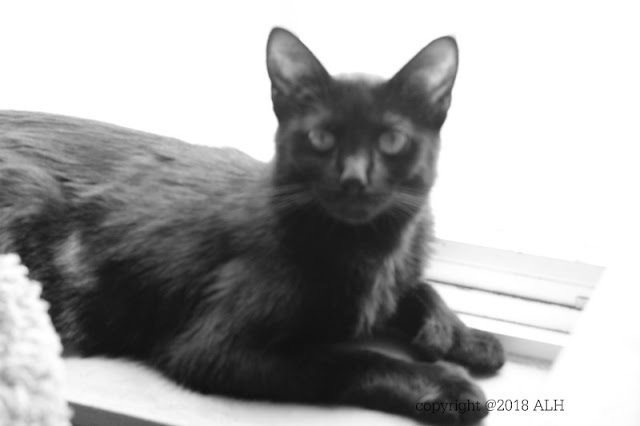 There was another black kitty, male who was a couple of months younger than Bug but he wouldn't come out of hiding for us the way Bug did. NONE of the other cats connected with us the way Bug did. Yep she was the one. We think she may be part Siamese. Her meow sounds very loud and Bug is very talkative. She's also very smart and plays "fetch" or reverse fetch as we call it. I am told these are Siamese traits. She's also polydactyl. Not just her front paws either but her back ones too! Typically cats have 18 toes. They have 5 on each of the front paws and 4 on each of the back paws. Bug has at least 22 toes but we suspect that she may actually have 23 or 24! She is so adorable with her mittens. She's certainly made herself at home and we all have fallen madly in love with her. She's been part of our family now for 2 months and 10 days. We're still getting to know her and she's still getting to know us. We know she likes to climb so we got her a three tier "tree" and we got her a short one too. She likes to hang out with us in the family room and often uses the 'tree' as a base for her favorite game of "make the human fetch the toy." The shorter one is in front of my bedroom window and she loves to curl up there and take a nap. She has worked her way into our hearts and I think we've worked our way into hers! Yes, Yes we are still alive here! It has been ages since I posted. I had such plans for posting far more frequently. 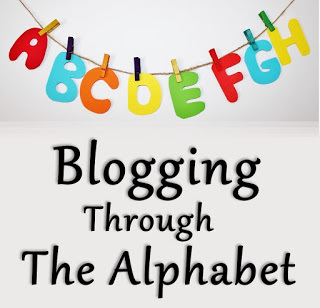 I even planned to join in a new round of Blogging Through The Alphabet which is now hosted by the lovely Amanda at Hopkins Homeschool and Kirsten from Doodlemom. Since I am weeks behind I thought I'd do an update of sorts Alphabet Style! Boobear applied to a few local grad school programs. I am so thrilled and proud to announce that she was accepted by her first choice school and will be starting the Masters in Social Work program this fall! Turtlegirl finished up her 2nd year at University and will be heading back in the fall for her third year. She received recognition from the Foreign Language Department as an outstanding second year German student! Did I tell you that she is now officially a Pre-Law student? She's majoring in Philosophy with a minor in German. Tailorbear rocked her first year at technical college and is really thriving as part of the Digital Entertainment and Technologies program. She will be continuing to take classes this summer and is registered for a full course load for both summer and fall. Oh and her spring term? 4.0! Yes, yes I am bragging just a bit! 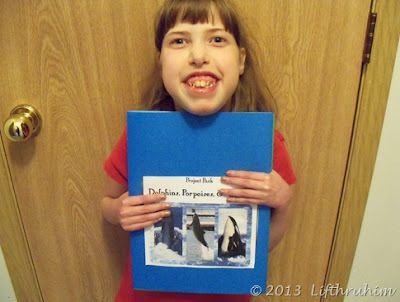 Tailorbear started her her classes this week and is super excited about her Digital Art and Photography class. She's been taking pictures in black and white and I asked her if I could have one for this post. She let me use this one of Bug. She is still getting to know the camera. This photo hasn't been touched up at all. Supergirl continues with her home education. Recently we started the Intermediate Level (3rd & 4th grade) from Bible Study Guide For All Ages. I absolutely adored this program when I used Unit 1 with ALL of the girls years ago and Supergirl enjoyed using the Primary for a few lessons a few years ago. Supergirl is also continuing with Reading Eggs for some phonics reinforcement. Our subscription ended in the summer and I actually purchased a year subscription for her. The crew had the opportunity to review Max Scholar so we've been using that a few times a week as well. We took a break from our American History studies but are back at it again. We've added an American History for Beginners course from SchoolhouseTeachers.com (affiliate link) to go along with the YWAM Publishing books we've been using and TruthQuest. Just this week we started playing with rocks. Well sort of! 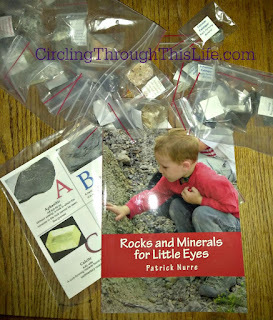 We'll be reviewing the Rocks and Minerals for Little Eyes Kit from Northwest Treasures. 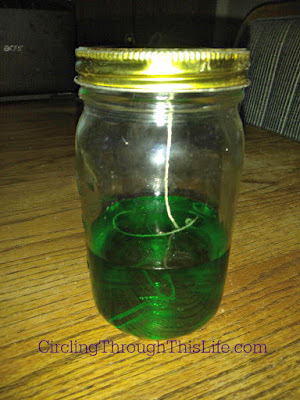 This week I read through the Text and came up with a plan with Turtlegirl. Turtlegirl, Honeybear, and I all sat down and watched the 20 minute video Taking the Mystery out of Geology Supergirl watched most of it with us but mostly it was good information for Turtlegirl and I to understand Mr. Nurre's approach. I am so looking forward to growing crystals and making rock lava candy! We'll also get to make a clay model earth, explore a density column and split rocks with water! So I've got summer school covered for Supergirl. Maybe I should start thinking about a fuller schedule for the fall? Are you doing school this summer? What are you studying? Way back on my 2nd year on the crew I reviewed First Form Latin from Memoria Press. I was so impressed that I purchased two additional student work books so my three "big" girls could study Latin together. Boobear wanted to revisit Latin. She asked me if we could get a new student workbook so she could go through the program again. Her timing was perfect. Memoria Press generously included a new student workbook in my Crew Leader package. We already had the rest of the set and only needed the Student Book. 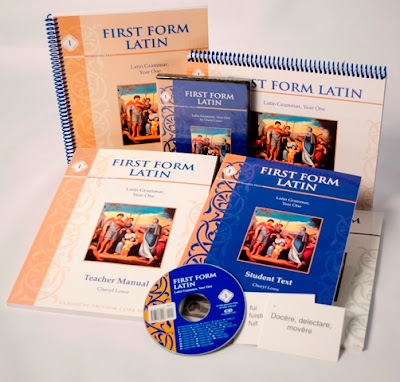 Memoria Press recommends First Form Latin for grades 4-9. I think this age range works well if the younger students have completed Prima Latina or Latina Christiana. I believe this to be an excellent introduction to Latin for students in 6th grade and older including adults. Student Text -- 9 x 7.5 inches. Each of the 34 lessons are are concisely presented on a two page spread. 120 pages. Includes 7 Appendices which cover things like Prayers, Latin Sayings, Grammar and more! Teacher Manual -- Full size! 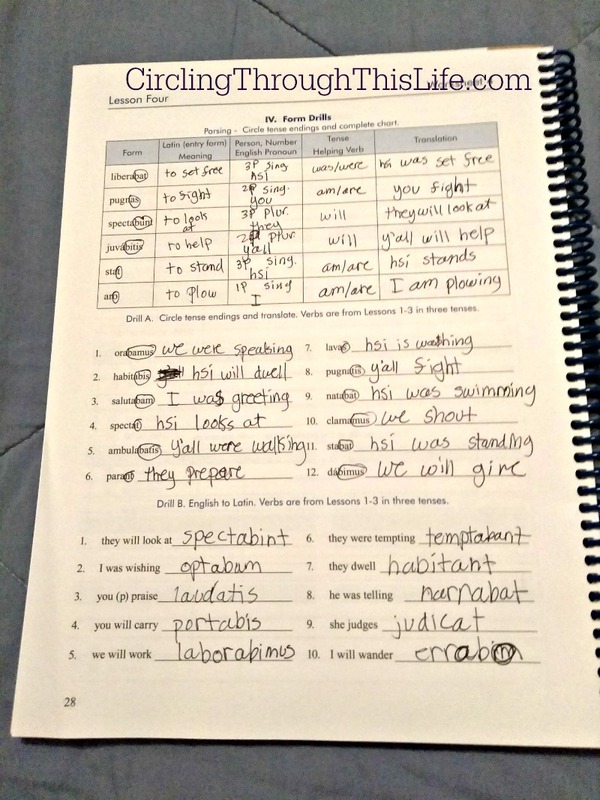 The Lesson plans have the student text inset. The TM also includes teaching guidelines. Like the Student Text the Teacher Manual includes several appendices. Quizzes & Tests booklet -- Exactly what it says! 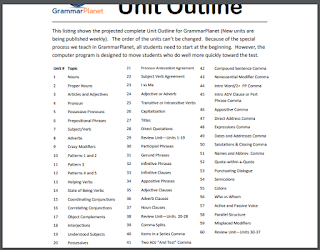 Includes Quiz for every lesson and Unit Tests. These are perforated for ease of tearing sheets out. I love that feature! Teacher Key --- This includes answers to the workbook sheets, quizzes and unit tests! 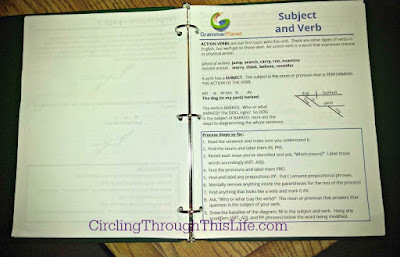 Pronunciation CD -- This includes all the vocabulary and grammar forms for each lesson. Very helpful when trying to do recitation! Flashcards -- When I received mine originally they were in sheets. These are very helpful for drilling! DVDs -- In this 3 DVD set, instructor Glen Moore walks you through each lesson. I believe that the DVD was the only reason we were successful the first time. Boobear did re-watch lessons to refresh her memory. For how to use this more traditionally you can read my previous review of First Form Latin. 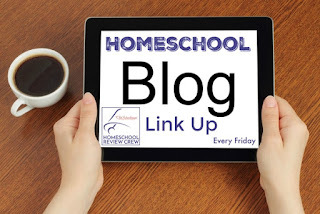 Be sure to also check out the other reviews currently being linked to the Homeschool Review Crew Blog. When I was in high school, I did the First Form Latin program. I went through the course with my younger sisters at the same time and we would watch the lessons together and sometimes work on worksheets together or on our own. We would also drill vocabulary together. It was a wonderful bonding experience to study a foreign language together and helpful to have a study partner. When I went to college, I wanted to take more Latin as my foreign language in college, however, the way the courses were structured when I needed to take my language classes the 100 level Latin classes were not being offered. Instead I took German, but I found my Latin background extremely helpful. 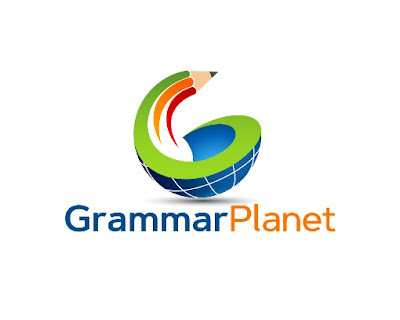 The way German’s conjugate verbs and their grammatical gender is similar to how Latin is. There were a lot of differences but understanding German grammar was much easier because I had studied Latin. Now that I have graduated from college I have wanted to get back into Latin, however, I took Latin close to 6 years ago and I need to refresh my memory. So, I am reworking through First form Latin. I have been watching the lessons which are all short and easy to get through. Because I am working full time now, I have less time than I did in highschool to study Latin. 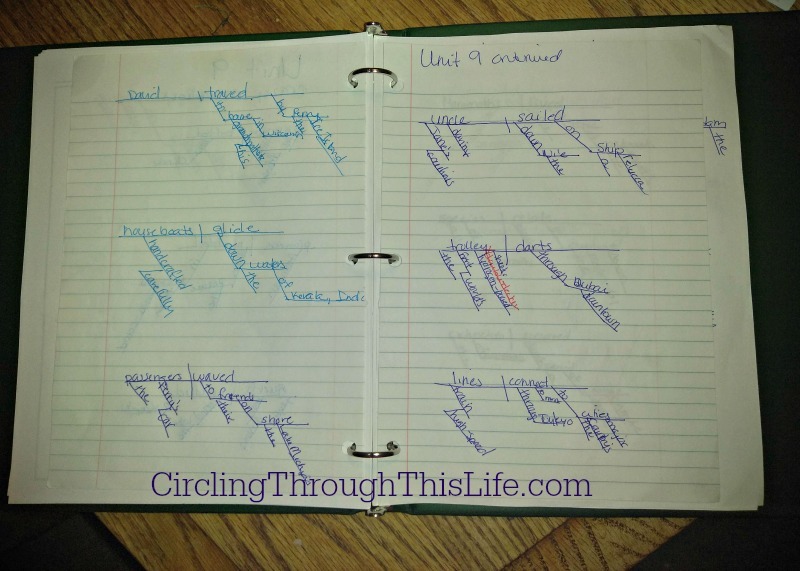 The way first form is structured that makes it easy to work through a lesson when I can. One of the things that I really appreciate that has changed since the last time I took the course is the student workbook. It is so much nicer to have it be spiral bound. The flat binding was very irritating to work with because it didn’t lay flat and it felt like you had to beat the binding into submission in order to get it to work with you. The spiral binding is great to use at my desk in my bedroom. I can move between that and checking any grammar or vocabulary in the student text without worrying about the student workbook trying to close on me. It is also convenient to take outside and work on Latin in the sun. Or in the case of my often messy desk, I have limited space and being able to have it lay flat and not be as spread out. The upgrade to spiral binding is best thing about this. Unlike BooBear, Turtlegirl moved on to Second Form Latin while still in high school. She too found that studying other foreign languages were easier because of her Latin Studies. Last summer when she got home from college, Turtlegirl began working through Third Form Latin. 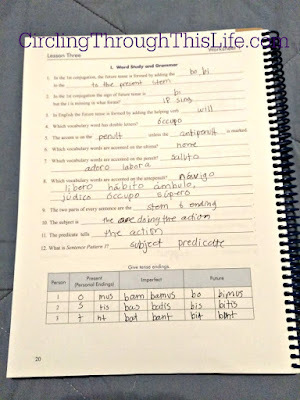 I wrote about her experience using Third Form Latin. She plans to continue on to Fourth Form Latin. Because there are so many benefits to studying Latin, I encourage other homeschooling families to study Latin. I recommend using the materials from Memoria Press. In addition to offering Latin, Memoria Press also has a brand new Music Appreciation I course and brand new spelling programs: Traditional Spelling I and Traditional Spelling II. 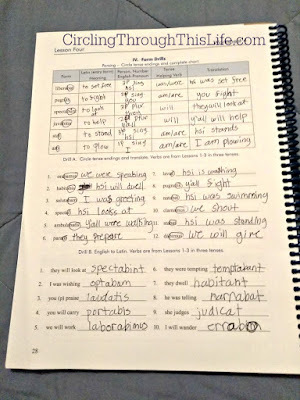 Watch my blog for how I am using Traditional Spelling I with Supergirl but in the meantime visit the Homeschool Review Crew to read reviews of the different Music, Latin, and Spelling programs from Memoria Press.